SPRING AIR believes a good bed should make you feel good, at night and during the day. At night, you rest your body, your mind and your soul. You spend the time with your loved one. That time is priceless. SPRING AIR gives you the Ultimate Feeling, every day, every night. 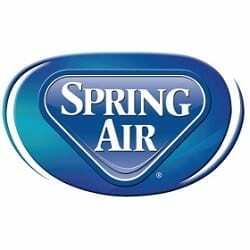 Now you too can feel good every day, every night like millions of people around the world in more 80 years of SPRING AIR’s history.